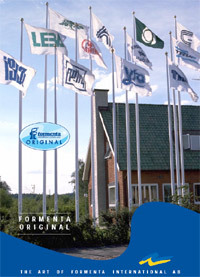 “FORMENTA Interantional” AB is one of the leading companies in Scandinavia, who produces high quality fiberglass flagpoles. BALTKARTS Ltd. is official dealer in Latvia for their production. 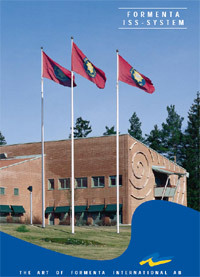 Their flagpoles are made from long lasting fiberglass reinforced polyester, a maintenance free material that combines guaranteed strength and low weight with brilliant, clean finish. complete with warm galvanized tilting base, rotating finial, cleat and halyard. 2. Formenta "Exclusiv" complete with warm galvanized tilting base, rotating finial, halyard and counterweight. Mounted ISS-system (crank type). 3. 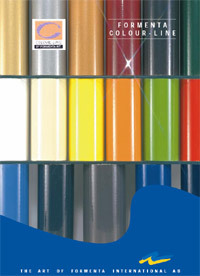 Available in various color spectr . 4. 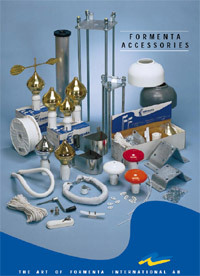 Available in various colors and form fittings. We have elastic prices politics for each client and we can offer transportation of goods to client.